Introducing the Lead Generator chatbot by Law.Bot. The Lead Generator replaces live chat on your website with a much better solution for your marketing needs. 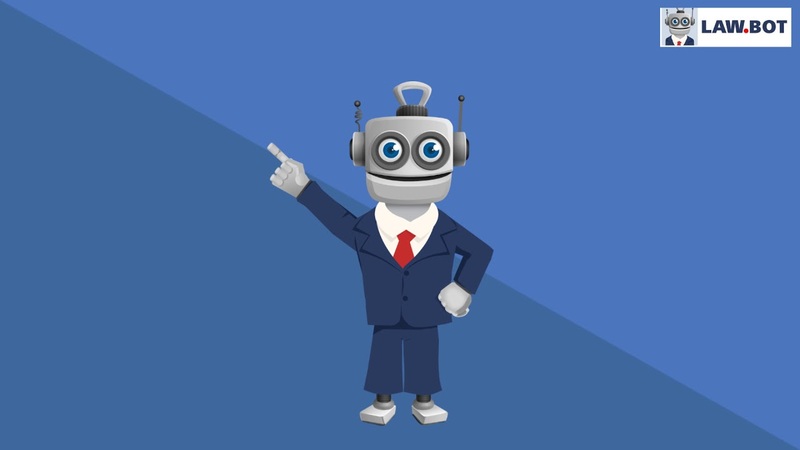 With the Lead Generator chatbot, you can gather and qualify leads that come to your website by answering their questions and asking your visitors to complete your intake forms. The Lead Generator can collect useful data about your customers from their chatbot conversations, which you can leverage to improve your customer service and business practices. Keep potential clients engaged by providing them with the answers they need to the most common questions asked. Free your employees up to do more productive things than answer repetitive questions better handled by a chatbot. The Lead Generator is an Artificial Intelligence based chatbot. Artificial intelligence (AI) makes it possible for the Lead Generator to learn from experience, adjust to new inputs and perform human-like tasks. The Lead Generator was designed to do one thing, generate leads. The Lead Generator is based on IBM's Watson technology. Its best feature is that learns as it goes, and understands natural language. The Lead Generator can respond to your potential clients using human-like conversation, with impressive accuracy. Your potential clients will enjoy chatting with the Lead Generator. IBM Watson is an AI leader. When you use the Lead Generator you are accessing the latest in AI technology. With the Lead Generator, your prospective clients can get answers to questions they have about your firm instantly, 24/7 365 without having to search your website or speak to anyone. A happy prospect leads to more clients. Unlike traditional live chat programs that simply generate leads that may or may not be qualified, the Lead Generator can actually ask your visitors to complete your intake form. This will generate a quality prospect where you will have all of the relevant information you'll need to start preparing your case. Live chat simply cannot provide the same depth of information as the Lead Generator. The Lead Generator provides you with the ability to generate actual intake forms from your potential clients. Your Brand, Our Technology - The Lead Generator can be customized with your image on the chatbot icon and your firm's Logo and brand in the chat box. Customized for Your Practice - The Lead Generator allows you to customize our FAQ responses as well as the intake forms we use. We'll install the Lead Generator on your website matching your site's look and feel. Messaging, Not Forms - With the Lead Generator on your website, any conversation can become a lead. Instead of doing it the way most law firms do that rely on forms and email follow-ups, our technology leverages messaging to build trust with visitors, gather contact information and deliver your business qualified leads in real-time, like a virtual assistant for your website. Appointment Booking - The Lead Generator will allow your potential clients to book appointments with you in real time. We'll synchronize the Lead Generator with your Office 365 Calendar, Google Calendar or iCalendar to schedule calls and new client meetings in real time based on your personal calendar. Instant Lead Notifications - The Lead Generator will be engaging with potential clients on your website, 24 hours a day, 7 days a week. We’ll send your team email notifications with your lead contact information as soon as we get it. Instant Phone Contact - Your potential client will have the ability to call you right from within the chatbot just by clicking on the phone icon. Conversion Rate Optimization - On average, 96% of your website's visitors leave without taking action. The Lead Generator will engage your visitors, reduce bounces and route hot leads to your email and phone automatically. Custom Chat Widget - We will customize your chatbot widget with your business branding and install the Lead Generator on your website. Intake new clients - The Lead Generator includes built-in client intake forms that will allow you to quickly qualify your potential clients and expedite the onboarding process. IBM Watson is always learning, leading to ongoing, data-driven improvements. Odds are that your prospective clients who are looking for a lawyer online will visit several websites. You spend thousands of dollars to drive traffic to your site, get getting them to your site does not guarantee a conversion. In the hyper-competitive legal market, being the lawyer with the best customer service can be the key to getting more business. This is why your practice needs the Lead Generator chatbot. The Lead Generator will respond to your visitor questions immediately, providing the highest-quality customer service experience to each visitor, every time. 24/7 365! Why is the Lead Generator better than "Live chat"? Odds are the your live chat operator is working from some third world country and is handling several other lawyer's websites at the same time they're chatting with your visitor. There is simply no way that someone who is unfamiliar with your firm can give the depth of response that the Lead Generator can. The Lead Generator answers your visitor questions correctly, every time. It never gets tired or makes mistakes. For simple, repetitive tasks like answering basic questions, nothing compares to a professionally made chatbot. How much does the Lead Generator cost? We charge both a setup fee and a flat monthly fee. Our setup fee depends on how much we have to customize your chatbot and the monthly fee depends on the size of your firm. Contact us at 727-346-6423 or at hi@law.bot for more details. How long would it take you to build me a Lead Generator? How long it will take depends on how much customization your chatbot requires. In most cases we will have your chatbot ready within 30 days of your order. Often much sooner. Where will the Lead Generator be hosted? While the code for your chatbot will be on the IBM Watson servers, all of the data from your visitor chats will be stored and available only on your website. We will email you every lead that leaves their contact information. How do I get my leads. The Lead Generator will automatically email you every lead that leaves their contact information. If you want to integrate the results into your CRM, you can have your coder do this for you or you can hire us to do it. We charge based on how complex your situation is. For more info, call us at 727-346-6423. Interest in Chatbots Keeps Rising. We build advanced lead generation chatbots for lawyers. © 2019 Law.Bot. All Rights Reserved.